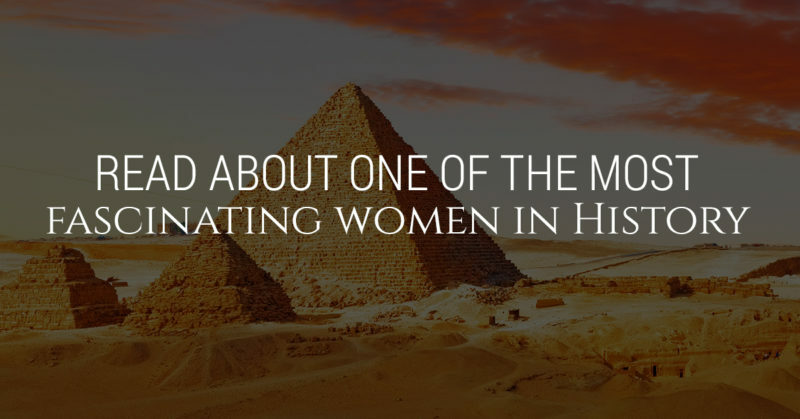 One of the most fascinating women in History is ancient Egyptian ruler Cleopatra. Hailing from the Ptolemaic dynasty, both her life and her death are shrouded in mystery, and her drama-filled life seems like it is straight out of the movies. Speaking of movies, many movies have been filmed about the life of Cleopatra, with the most famous one being the 1963 film starring Elizabeth Taylor as Cleopatra. Not only was Cleopatra highly educated and extremely cunning and intelligent, she also had a very interesting love life. No stranger to mixing business with romance, two of her most famous alliances were with Julius Caesar and Mark Antony. Julius Caesar originally traveled to Egypt in pursuit of his enemy, Pompey. However, the Egyptians had already executed his enemy, but Caesar remained in Egypt nonetheless. At the time, Cleopatra fled Egypt because her younger brother/husband Ptolemy XIII did not wish to share the throne with Cleopatra. Recognizing an opportunity in joining forces with the powerful Julius Caesar, legend has it that Cleopatra snuck into his place of residency hidden in a rolled up carpet. Immediately, Caesar was charmed by this beautiful, charming, and cunning woman who had fallen out of his carpet. Although they quickly fell in love, their union was politically beneficial for the both of them. Caesar was able to help Cleopatra defeat her brother and once again assume the throne in Egypt with another brother. Although Cleopatra and Julius Caesar were both married to other people, they had no qualms about openly flaunting their love affair. Cleopatra even gave birth to their son, Caesarian, after they traveled the Nile together. Cleopatra and her son stayed in one of Caesar’s country homes in Rome, which caused quite a scandal. The presence of a foreign woman in Rome caused tongues to wag. In 44 BCE, Caesar was assassinated and control of Rome was split between three different men: Octavian, Mark Antony, and Lepidus. Mark Antony assumed control of most of Rome’s eastern empire, and he summoned Cleopatra to question her loyalty. Like Caesar, Mark Antony was smitten with the beauty, intellect, and power of Cleopatra. He moved to Alexandria to be closer to her, and they had three children together. Octavian decided to declare war on Cleopatra, forcing Antony to choose between Rome and Cleopatra. Antony and Cleopatra went to war with Octavian, but they lost at the Battle of Actium on the Mediterranean Sea. As Octavian’s forces approached Mark Antony, he ended his own life. Once Cleopatra heard the news, she chose to end her life as well before Octavian would kill her. According to legend, she wrapped a venomous snake around her arm and was fatally bitten by the snake. 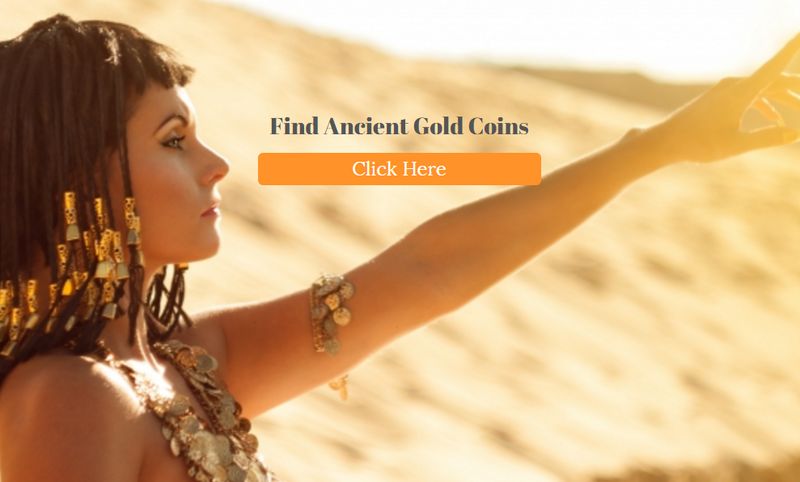 At Ancient Gold Coins, we feature a variety of ancient Egyptian coins spanning the Ptolemaic Dynasty. Take a glimpse into the truly fascinating history of ancient Egypt by browsing our selection of old Egyptian coins today. Purchase an ancient Egyptian coin for a truly one-of-a-kind collector’s item with a fascinating history.